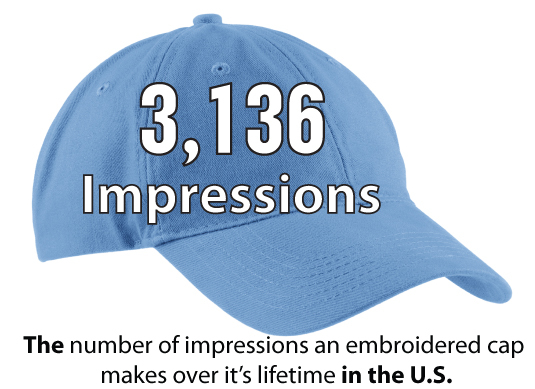 The research determined that in the U.S., a custom embroidered cap will generate 3,136 unique impressions over it’s life time, more than a t-shirt or jacket and even writing instruments in many of the markets. The value of an impression is what is difficult to put a value on. Radio, television, online marketing and other media determine their pricing based on readership, viewership or how many “eyes” will see the ad. Unlike, other forms of media, there is arguably more value and influence in “personal media”, especially when it comes to clothing and accessories. We influence and are influenced most by those in our personal circles. Below are some valuable points to consider when determining whether or not to use custom embroidered hats for your next campaign or to go with something else. 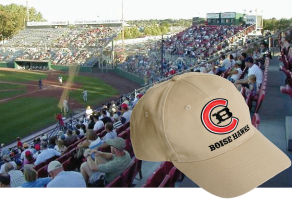 As you consider the list above, you’ll see that custom embroidered caps are a great option when considering the impact of your promotional objectives. 21 Great ways to Grow your Sales with Custom Built Caps! **Co-Op: Check with your suppliers. Many manufacturers have co-op funds already set aside that will pay for or offset your costs just for adding their logo to the cap. It doesn’t hurt to ask! Even with this extensive list, you’re sure to come up with additional ideas. Do you have any additional insights? How have you used embroidered hats to promote your brand or customer’s brand? Share with us your ideas by commenting below!